Additional updates are shown here. Over the coming months we are going to make public, information and data behind the workings of AMF. Transparency is a central element of our philosophy and we hope the information will both be of interest to supporters and donors and help answer questions about how we operate and make decisions. Whilst rapid progress can be made against malaria (see recent results in Ntcheu, Malawi), sustained action and sustained support are key to securing permanent malaria reduction. Recurring donations to AMF are one of a number of indices we follow to assess how we are performing and engaging support. They currently represent a small proportion of the funds AMF receives, approximately 5%, but the number and total value of recurring donations is growing. 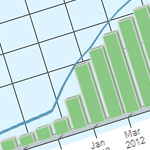 We are publishing here monthly totals for recurring donations so others can see the numbers and follow progress. 100% of these funds buy nets. 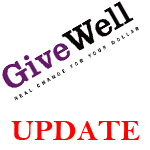 GiveWell has recently published an "AMF Update - September 2012". Their summary is: "Bottom line: We remain confident in the effectiveness of AMF's activities. It remains our #1-ranked organization." Normally we allocate a donation to a particular distribution within a few weeks or months of receiving it. The allocation of your donation is taking longer and we wanted to explain why and keep you updated. We are currently evaluating two large distributions of 500,000 and 600,000 nets respectively in two different countries, albeit in the second country the need is for 4 million nets. We have been accumulating donations so we can fund the nets for these significant distributions. We are far advanced in the assessment of one, and at a key stage with the evaluation of the second. These are the distributions to which we have provisionally allocated all current donations. We hope to make final decisions in the coming weeks with exact timing dependent upon responses from the relevant National Malaria Control Programmes and our distribution partners in-country. However, it is possible, even late in the process, we decide we cannot support a particular distribution. This would be because we could not obtain various data we feel necessary to (1) fully evaluate the distribution (i.e. malaria case rate information and data that reliably establishes the level of net need) and/or (2) underpin the intended distribution (i.e. 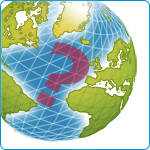 pre-distribution beneficiary survey information that forms the basis of exactly where the nets are distributed). This was the case in May 2012 for a 600,000 net distribution we were considering in one country. We will not risk donations. We are developing a pipeline of potential large scale distributions so the time between receiving donations and allocating them to a distribution is minimised. Our aim is for the majority of donations to be allocated within three months of their receipt and for the maximum to be four months. The success of a recent large scale distribution in Ntcheu, Malawi, where we achieved universal coverage of a population of some 550,000 people via the distribution of 270,000 nets, has guided our focus on these larger distributions. 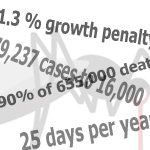 The Ntcheu distribution has resulted in an immediate fall in the incidence of malaria of an estimated 50%. This is very significant and we aim we see the decline continue in Ntcheu as well as replicate this impact in the two distributions we are considering now and in subsequent distributions. Amongst other messages in this short article, there is an interesting example of why it makes economic sense to fight malaria. Aside improved health, the most fundamental of impacts, malaria control reduces days off work and the malaria drug bill and can have a very quick payback. Whilst different economic, social, geographic and endemic malaria burden conditions exist in different locations, there is no doubt Sri Lanka suffered badly from malaria in the 90s and early 2000s. This decline in malaria incidence as a result of dedicated malaria control efforts is evidence that dramatic declines in malaria are eminently achievable.